After years of hiding, a guardian and his young elf ward are forced to go on the run for their lives. Seeking help, they recruit an unusual cast to help them along the way. The long time friend of the guardian, an old priest, whose love and devotion to the One True God, empowers him with gifts that can aid and guide them on their journey. The hawk lord, bound to the elf, whose command of the sky and agility in battle making him a formidable ally. The crusty, old battle wolf, whose ability to transform himself for time into a massive version of himself providing a level of offense that few can match. And finally, the mysterious spy, whose own potential for craft and cunning continues to surprise the others. 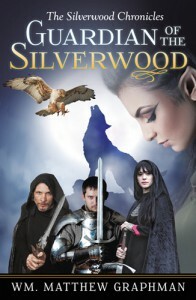 Along the way, the friends of the guardian discover that the young elf is not just an orphaned child that the compassionate warrior took in years ago, but is in fact, the lost heir of the fallen realm of Silverwood. After years of decline and the rise of chaos, her discovery could mean an end to the ever increasing darkness and war that covers the land, and a return to peace. That is, if she survives and can be shown to be the true heir to the throne. The great challenge they face, is proving that the elf is indeed the heir. Meanwhile, others have heard of the heir’s rumored existence, and they are anxious to see that the heir’s authenticity is never verified. 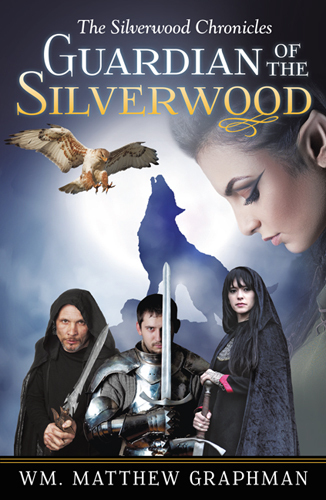 So the race begins through the five realms to piece together the one artifact – a mythical talisman thought destroyed when Silverwood fell – that can unquestionably put an end to the question of the heir’s right to the throne. Many clues will have to be discovered, and battles fought along the way. 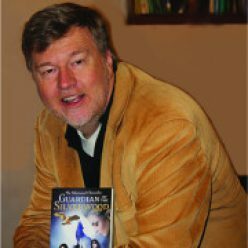 Ultimately, they all lean on the leadership of the guardian of the Silverwood to guide them through the challenges they must face.